Catanzaro played the final four games of the 2018 regular season with the Panthers, making all five of his field-goal attempts and seven of his eight extra-point tries en route to 22 points. Catanzaro connected on a 50-yard field goal and an extra point during Sunday's 24-10 loss to Atlanta. Analysis: Sunday's 50-yarder was just Catanzaro's second field goal of 40 yards or beyond this season. Not only has the veteran kicker been limited to mostly shorter field goals this season, but he hasn't been used much at all as of late. In his last five games, Catanzaro has attempted just six field goals -- connecting on four of them. He and the Panthers face off against the Saints to end the season, a team that held Catanzaro to just a single extra-point attempt in Week 15. Catanzaro will kick for the Panthers over the final two games of the regular season, Jourdan Rodrigue of The Charlotte Observer reports. Analysis: Graham Gano (knee) was placed on injured reserve Wednesday, leaving the kicking job in Catanzaro's hands for the next two weeks. There isn't as much upside for the Carolina kicking game these days with Taylor Heinicke replacing Cam Newton (shoulder) at quarterback, though matchups with shootout-happy offenses in the Falcons and Saints at least offer some potential for the Panthers to put up points. Catanzaro did not attempt a field goal but made his lone extra-point try in Monday night's 12-9 loss to the Saints. Analysis: Catanzaro again filled in for Graham Gano (knee), and although he did all that was asked of him, his impact hardly registered on the fantasy radar. His value remains elevated as long as Gano is out, but if quarterback Cam Newton (shoulder) and the offense continue to struggle, Catanzaro's scoring opportunities could remain relatively limited. Catanzaro will get the start with Graham Gano (knee) ruled out for Monday's contest, Bill Voth of the Panthers' official site reports. Analysis: Catanzaro made both of his field-goal attempts and extra-point attempts in the loss Sunday to the Browns, while the Saints in a road game present a more difficult scoring challenge for the Panthers. 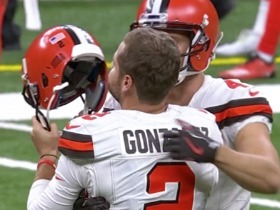 Catanzaro made both his field-goal attempts and extra-point tries in Sunday's 26-20 loss to the Browns. Analysis: Catanzaro converted from 30 and 34 yards on his respective field goals during his Panthers debut. His unblemished performance should help Carolina's comfort level while fellow kicker Graham Gano's (knee) upcoming status remains uncertain. Catanzaro will serve as Carolina's kicker in Sunday's game against the Browns with Graham Gano (knee) ruled out for the contest, Bryan Strickland of the Panthers' official site reports. 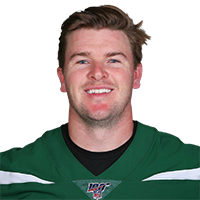 Catanzaro signed a contract with the Panthers on Friday, Max Henson of the team's official site reports. The Buccaneers released Catanzaro on Monday, Jenna Laine of ESPN.com reports. 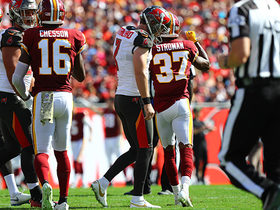 Analysis: The Bucs reached their breaking point with Catanzaro following Sunday's 16-3 loss to the Redskins. If his two missed field goals had instead gone through the uprights, the offense would have been in a position for a fourth-quarter comeback. Catanzaro ends his time in Tampa Bay 11-for-15 on field-goal attempts and 23-for-27 on point-after tries. The Buccaneers haven't pegged a replacement, but Cairo Santos and Sam Ficken both worked out for the team within the last month. Catanzaro missed field-goal attempts of 30 and 48 yards wide right and made a 33-yarder in the Buccaneers' 16-3 loss to the Redskins on Sunday. He did not attempt any extra points. Catanzaro did not see any field-goal opportunities and nailed all four of his extra-point tries in the Buccaneers' 42-28 loss to the Panthers on Sunday. Analysis: Catanzaro's scoring opportunities were capped, but he at least was perfect on his point-after attempts for the fourth time this season. 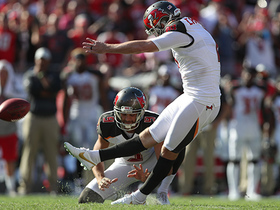 The veteran kicker sports 83.3 - and 85.2-percent success rates on field goals and extra points, respectively, and he should continue drawing plenty of chances to rack up fantasy production given the Buccaneers' typically prolific offense. 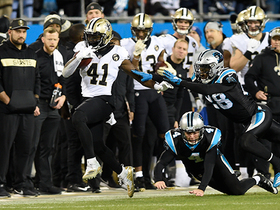 New Orleans Saints running back Alvin Kamara runs 50 yards on a kick return. Tampa Bay Buccaneers kicker Chandler Catanzaro misses a 30-yard field goal attempt. 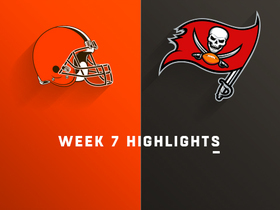 Watch the highlights from the Cleveland Browns vs. Tampa Bay Buccaneers in Week 7 of the 2018 NFL season. 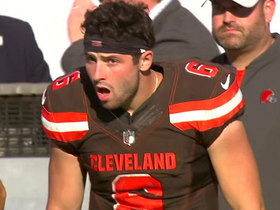 Cleveland Browns rookie quarterback Baker Mayfield can't believe Chandler Catanzaro's game-winning kick. Tampa Bay Buccaneers kicker Chandler Catanzaro misses 40-yard field goal that would have won the game against the Cleveland Browns in Week 7. Wide right, wide left, blocked and doink. Those aren't words kickers like to hear. But a few struggled in Week 2 of NFL action. NFL Network's Kay Adams explains why the Buccaneers signing kicker Chandler Catanzaro was a sneaky free agent deal. 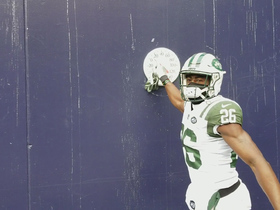 New York Jets players react to the cold temperatures before heading out to play against the New England Patriots. The NFL was busy on Christmas Eve with Week 16 action. Here is a look at the top plays from Sunday. 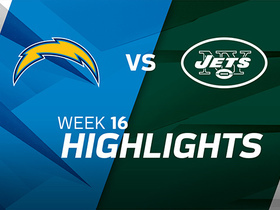 Watch to see the best plays in the Week 16 matchup between the Los Angeles Chargers and the New York Jets.